Craigslist is an online classified and advertisement provider that provide a lot of advertisement in the shape of job advertisement, house for sale, house for rent, services required, services wanted, gigs, item for sale and much more. The system of Craigslist is much similar to that of the real hard copy of a newspaper that contains a specific classified section where it provides the different type of advertisement. OLX offers you to post your ads for free. For the information of the readers it is important to point out here that instead of dealing with online trading, OLX connects the potential buyers and sellers with each other. The purpose of OLX is only to list the ads that are usually posted by the sellers and then the willing buyers are required to view these ads and connect with the sellers to finalize the deal. OLX is the one of the giant platforms where you can expect ads of almost everything and can place your own ad for free as well. Geebo is an online classified add provider of employment, real estate, vehicles, local artists, house for sale, apartments for sale and likewise many other types of advertisement for free. Every day it places the hundreds of ads on its online platform and allow the users to search quickly for the particular advertisement according to their own requirement. The users can easily search either by using the advanced search system. 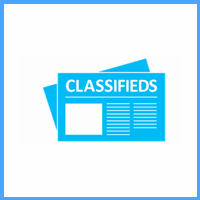 ClassifiedsGiant is a free classified provider of advertisements of all type that connects the seller with buyers to finalize the deal between them according to their own terms and conditions. It is a marketplace for getting the classified and ads in the category of jobs, apartments, rentals, pets, services required, autos, employment, and much more. ClassifiedsGiant is the online free and friendly advertisement provider of thousands of millions of advertisement. eBay Classifiedsthat is also known as the digital classified market that is being backed by the eBay, a giant online retailer. eBay Classifieds make it easy for the internet users across the globe to search quickly for the local advertisement of their any particular category and get their ad posted as well for free. eBay Classifieds is the system of free ad viewing and placing service. Backpage is a free classified provider that permits its users to search and post unlimited jobs at its giant classified platform. Backpage is an online market of classified that provide the users with the system of free access from any part of the world and sell and trade online. The online trading in that sense it basically connects the potential buyers and sellers to each other and after that. Oodle is a web based market of the millions of advertisement and classifieds that it is offering to all those who comes on the platform of Oodle, and all these are entirely free to access and easy to share with others. It is basically a classifieds aggregator that collects the advertisement from the local newspapers and some online leading sources like ForRent and eBay. Adpost is telling about a platform that features the system of ad posting only. However, it is not the complete fact; Adpost is also a free classified and ad provider that features the both system of ads and classified searching and posting the own ads as well. The main advantage of using Adpost is that in addition to providing the all essential features and functions. Krrb is an online trading platform that basically work as a channel of communication between the potential buyers and willing sellers in a shape of dealing with classified and ads. The best about Krrb is that it provide the both classifieds and ads at both local and international level. Krrb is the online provider for local classified and connects the users across the globe.